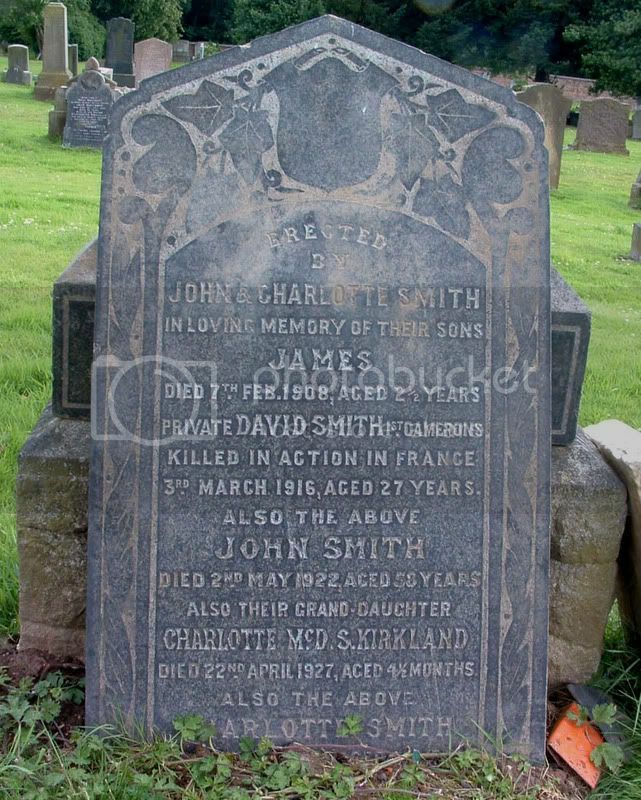 Additional information:	Son of John and Charlotte Smith, of 2A, North Bute St., Coatbridge, Lanarkshire. 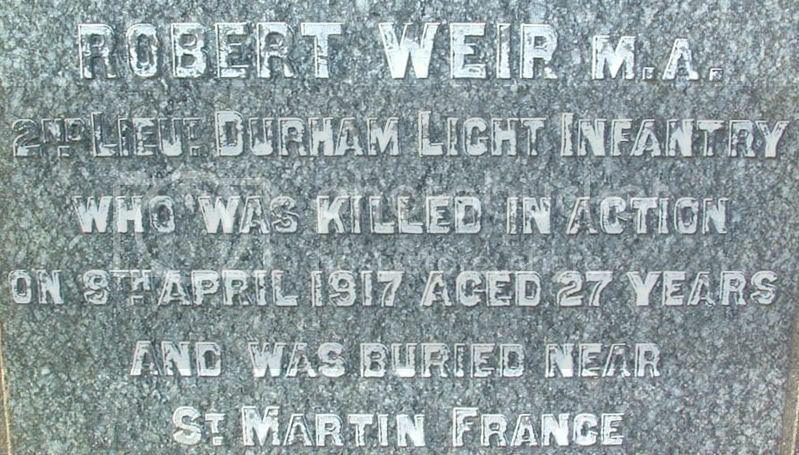 SNWM lists birthplace as Campbeltown, Argyllshire. Grave/Memorial Reference:	I. B. 2. 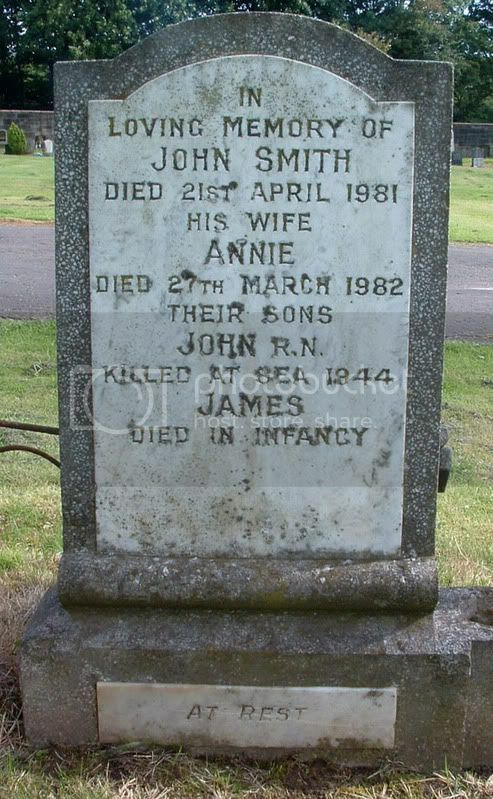 Additional information:	Son of John and Annie Philson Collins Smith, of Coatbridge, Lanarkshire. Grave/Memorial Reference:	Panel 83, Column 2. 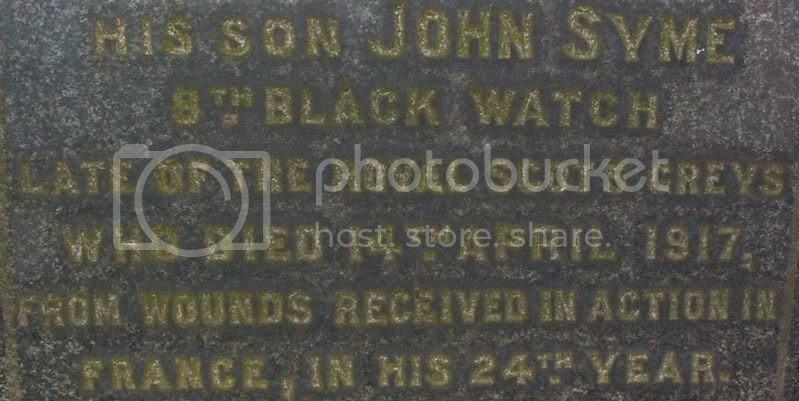 Additional Information:	Only son of John and Jessie Smith (nee Clark). 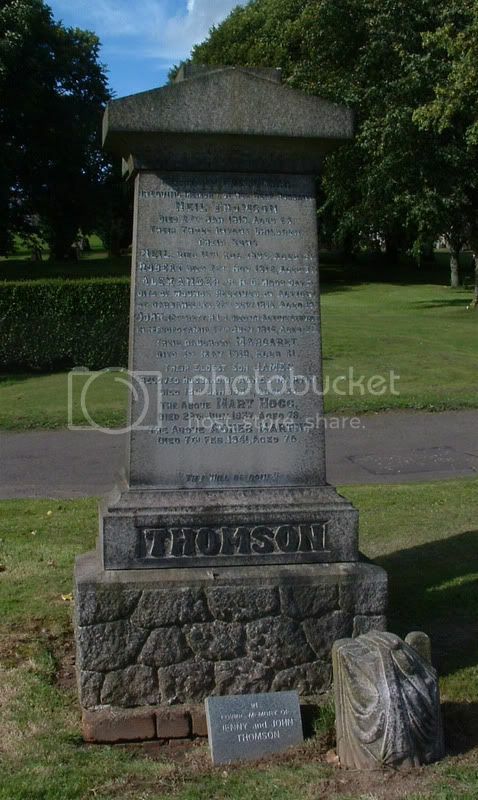 SNWM lists birthplace as Barony, Lanarkshire. Grave/Memorial Reference:	II. J. 20. The above information may not refer to the correct man. 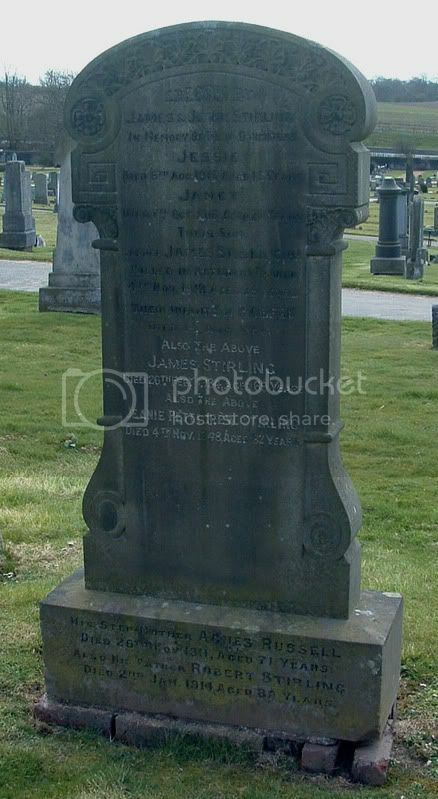 Additional information:	Son of James and Jeanie Stirling (nee Pettigrew), of G, Kildonan St., Coatbridge. SNWM lists birthplace as Old Monkland, Lanarkshire. 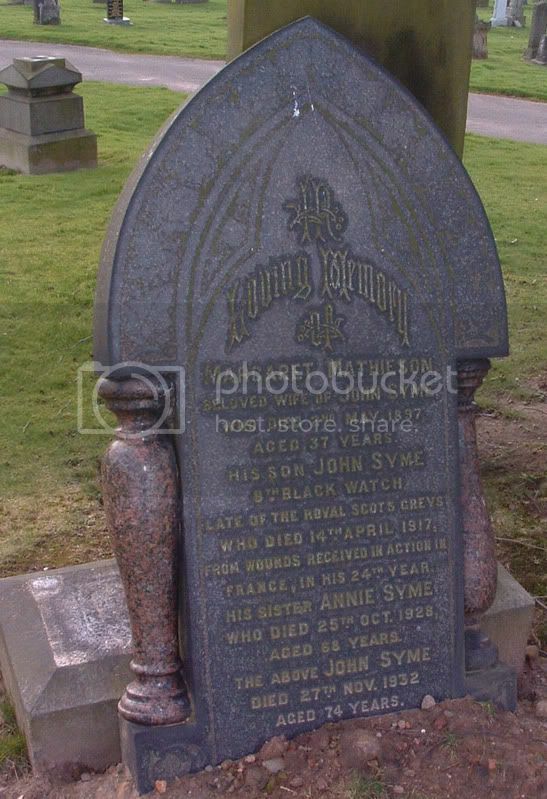 Additional information:	Son of John and Margaret Syme (nee Mathieson), of Clydesdale House, Mossend, Lanarkshire. Native of Coatbridge. SNWM lists formerly (8019)The Royal Scots Greys, 2nd Dragoons birthplace Coatbridge, Lanarkshire. Grave/Memorial Reference:	XXII. H. 15. Unit Text:	Hood Bn. R.N. Div. 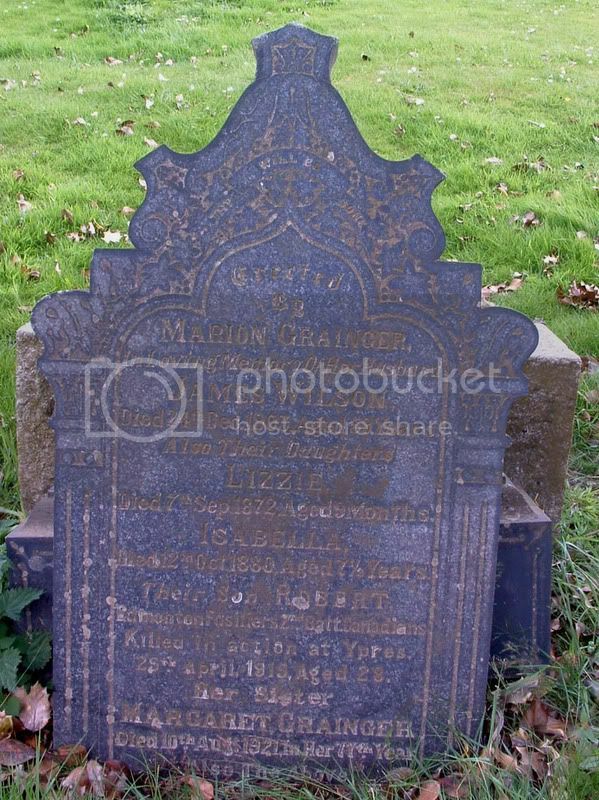 Additional information:	Son of Neil and Mary Thomson (nee Hogg), of 83, Woodside St., Coatbridge, Lanarkshire. Grave/Memorial Reference:	IX. F. 11. 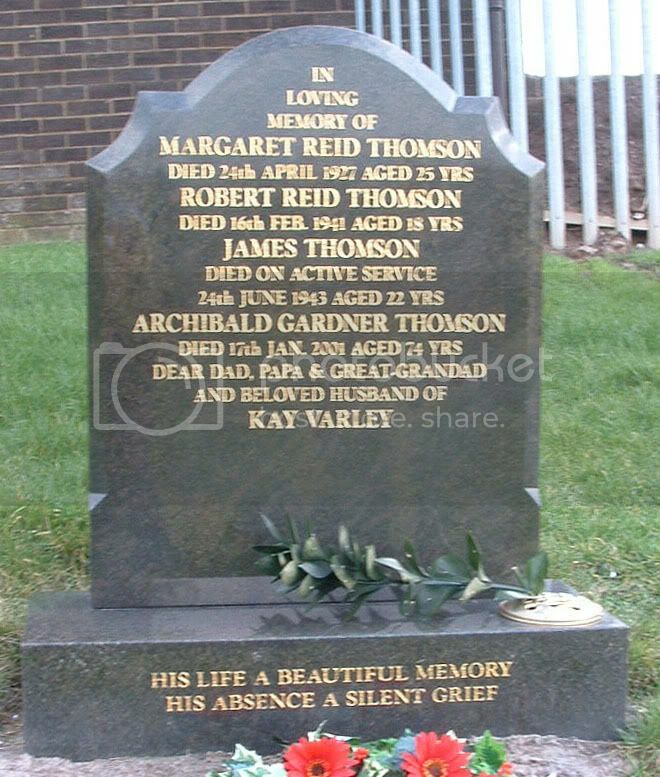 Additional information:	Son of Archie and Margaret Thomson (nee Reid), husband of Margaret Thomson, of Bargeddie, Lanarkshire. 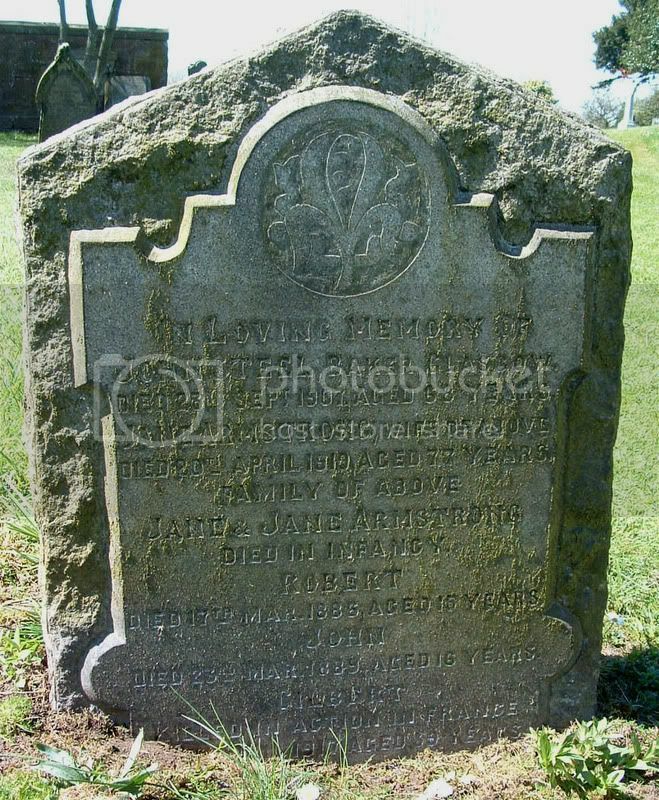 SNWM lists birthplace as Old Monkland, Lanarkshire. Unit Text:	412th Field Coy. 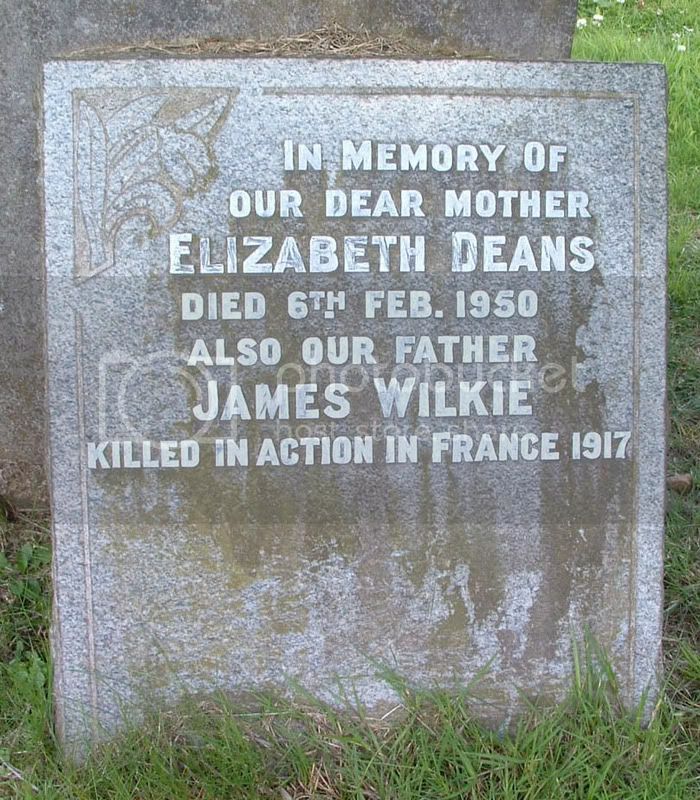 Additional information:	Son of David and Jeannie Torrance, of 105, Whifflet St., Whifflet, Coatbridge, Lanarkshire. Secondary Unit Text:	formerly 1st/7th Bn. Additional information:	Son of Rev. 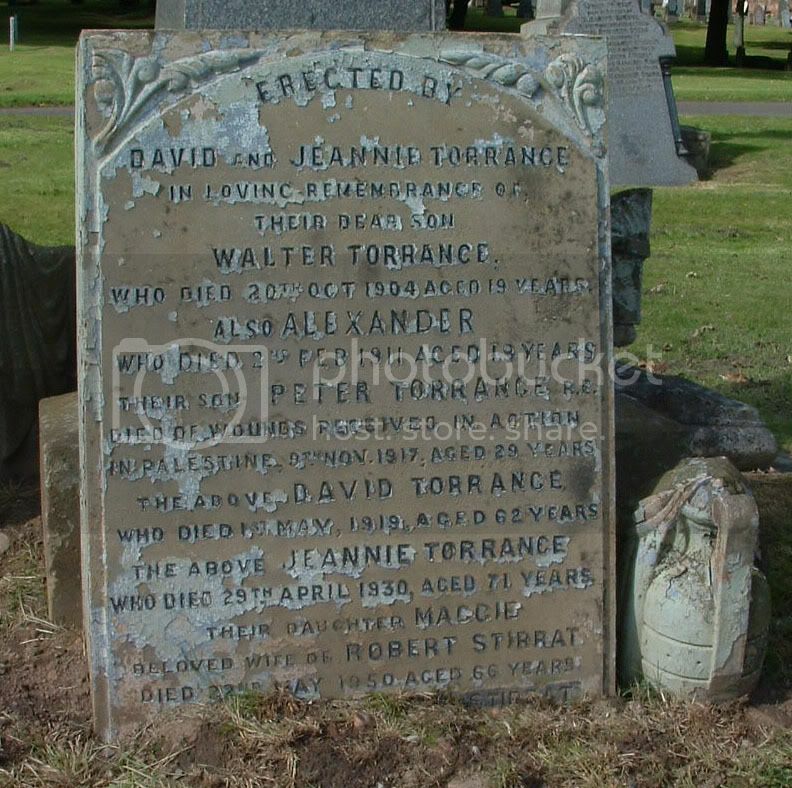 Alexander and Margaret Weir (nee Mungle), of Dunbeth Manse, Coatbridge. M.A. Native of Kirkcaldy. United Free Church Probationer. Grave/Memorial Reference: II. M. 14. Unit Text:	1st Field Coy. 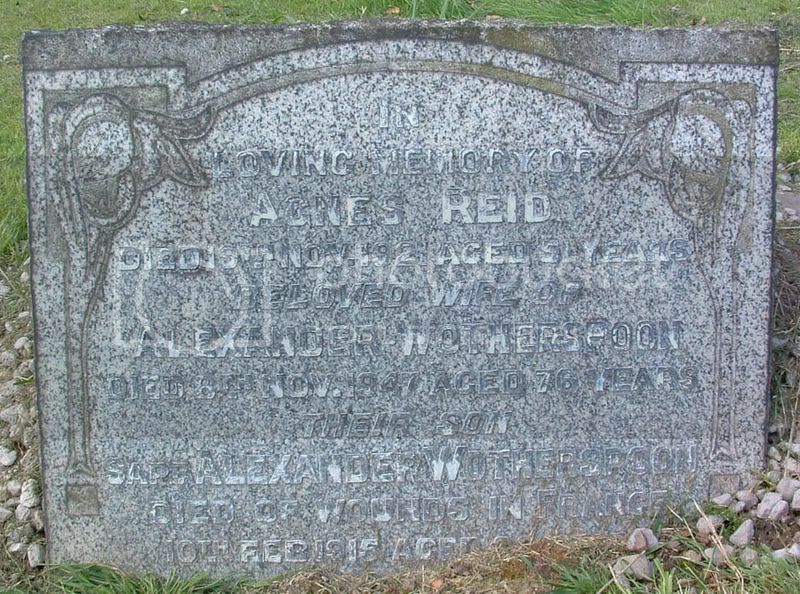 Additional information:	Son of Alexander and Agnes Wotherspoon (nee Reid), of 21, North Square, Gartsherrie, Coatbridge. Native of Coatbridge. Grave/Memorial Reference:	I. A. 20. Unit Text:	H.M.S. "Queen Mary." 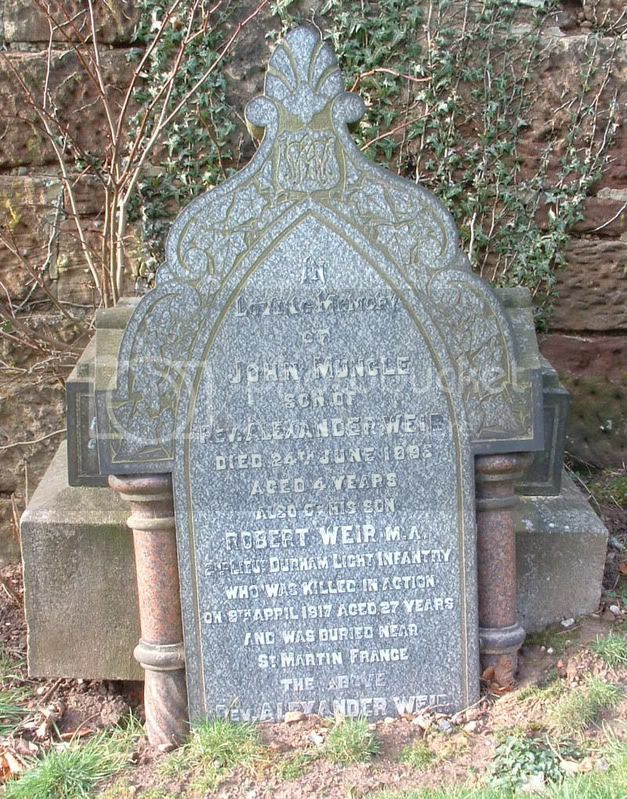 Additional information:	Son of Robert and Helen Yates, of Shawhead, Coatbridge. 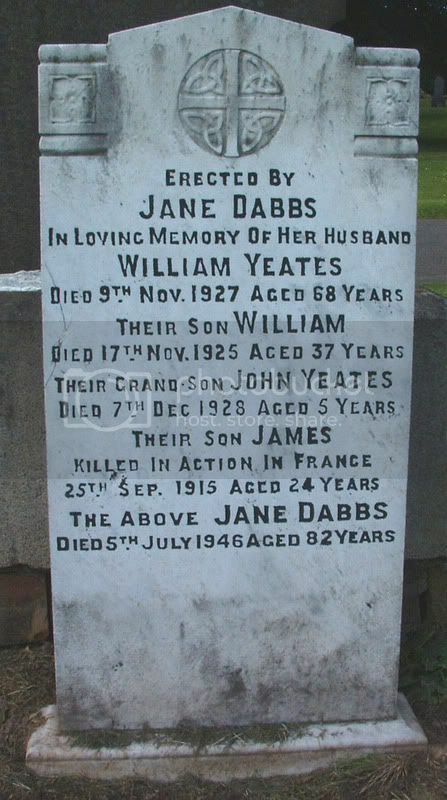 Yeates James Home - Glasgow Private Royal Scots Fusiliers 6th 20-Oct-15. Thanks to Spoons/Paul for finding this man - almost mission impossible!